If you are the type of person that enjoys surf fishing, walks on the beach, or just watching the water and breathing in the salty sea air, take a tour of the many Myrtle Beach area piers. No matter where you are staying for your vacation, there is a pier close to you that takes you beyond the beach and into the ocean. The Cherry Grove Pier is on 35th Ave North and is the largest and most popular pier in North Myrtle Beach. At the foot of the Prince Resort, this pier has a covered observation deck to sit and relax while enjoying the soft ocean breeze and watching the anglers haul in their catch. 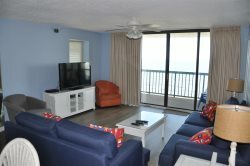 We offer several great properties close to the Cherry Grove Pier, including some condos at the Prince Resort, which allow you to get up close and personal with the beautiful pier. If you are down in Myrtle Beach enjoying the many attractions, make sure to stop by the 14th Ave Pier at 14th Ave North and 2nd Ave Pier at 2nd Ave South. Both have restaurants with gourmet food and bars to sip your favorite wine or cocktail while watching the waves crash on the shore. The 2nd Ave Pier restaurant has multiple levels and offers an incredible view of the beach and surrounding area. For an unforgettable night out with your close friends and family, enjoy some drinks, sample the excellent cuisine and take a walk to the end of the pier and look back on the beauty of Myrtle Beach. If you are lucky enough to be in town on the fourth of July, get a spot on the beach close to 2nd Ave Pier to see an amazing fireworks display like no other. Contact to plan your North Myrtle Beach vacation, and be sure to ask our local team for more information on piers and other sights and activities!